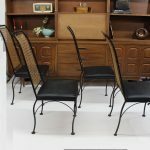 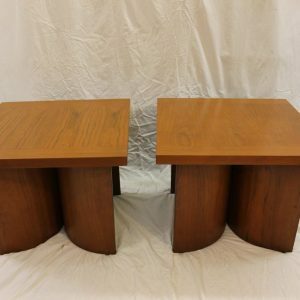 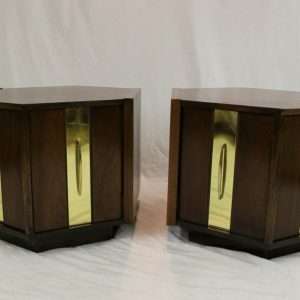 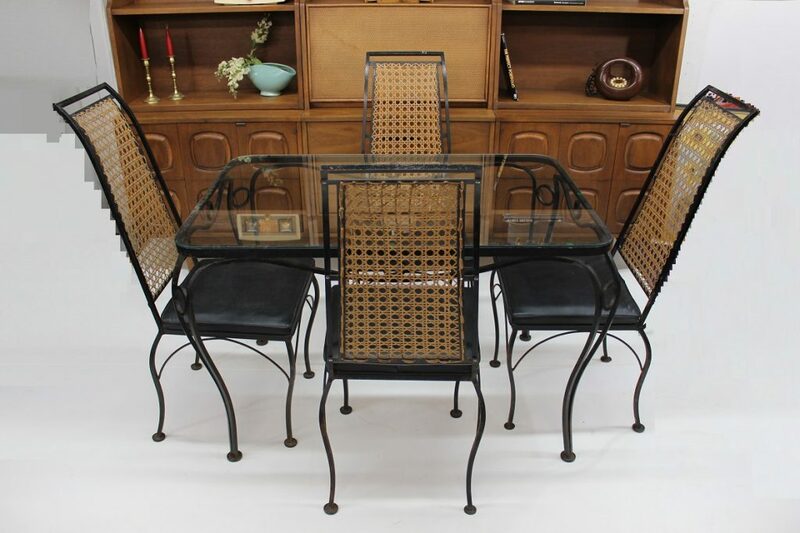 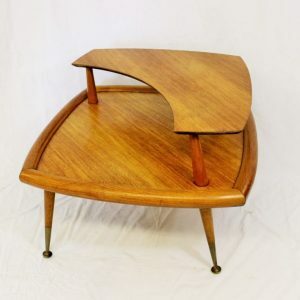 Check out this beautiful and unique dinette set. 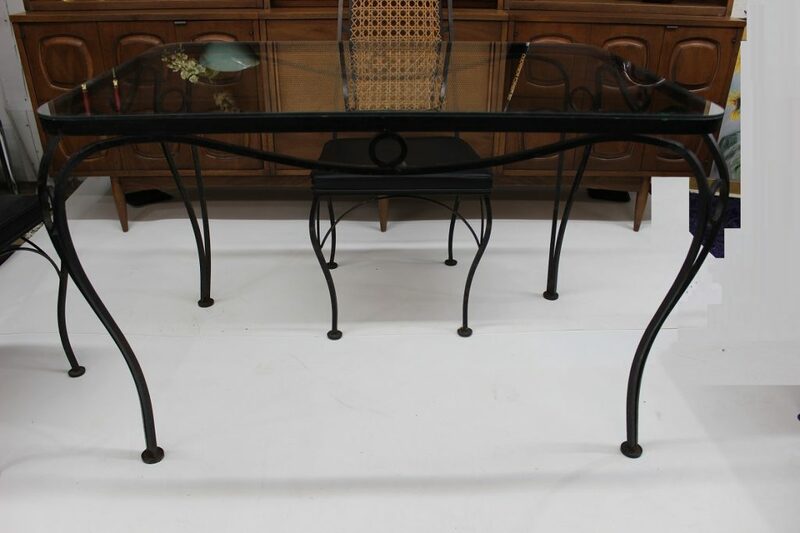 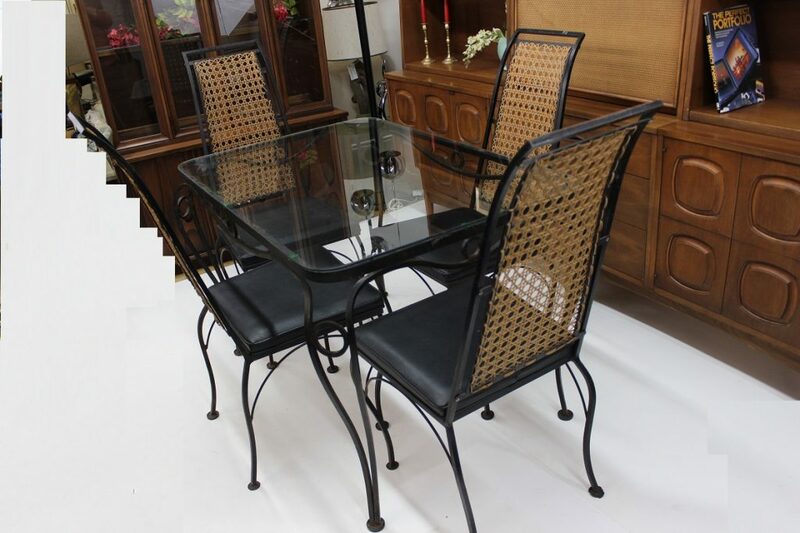 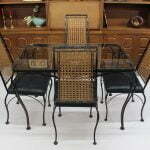 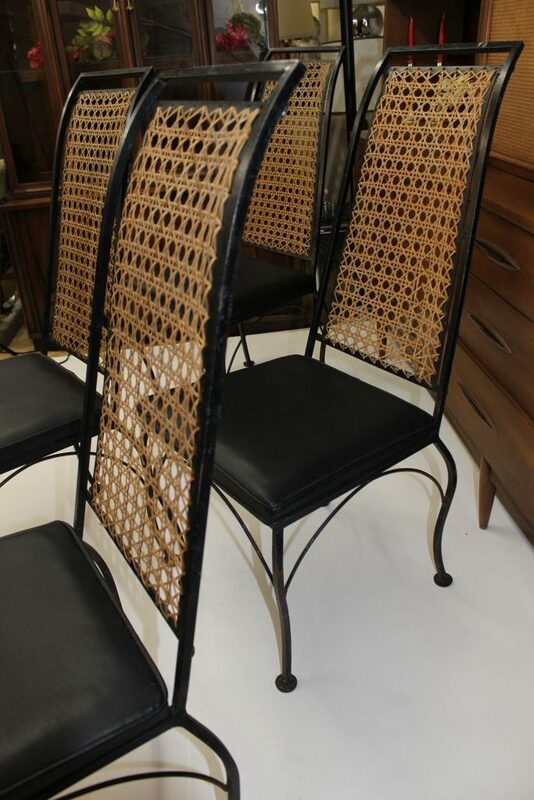 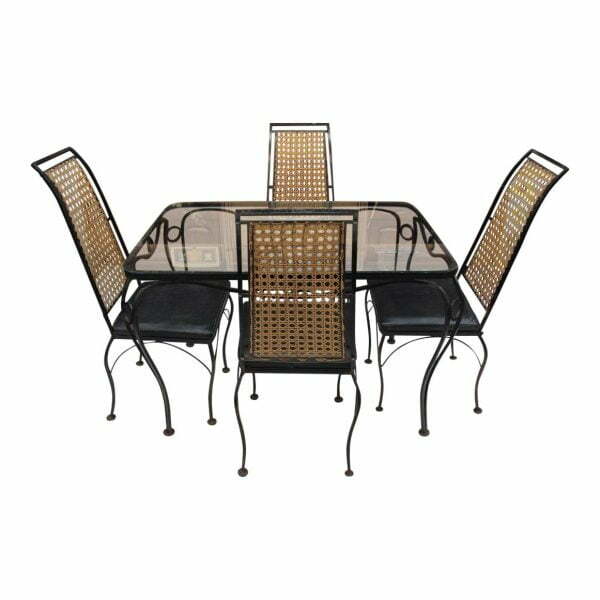 It comes to you with a body made of wrought iron, the backrests of the chairs are made of rattan and the top of the table is glass. 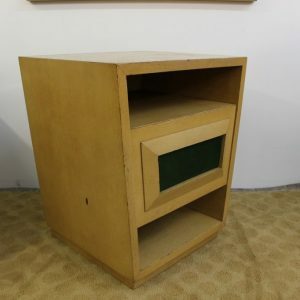 Which btw is in great vintage condition, showing only minor wear. 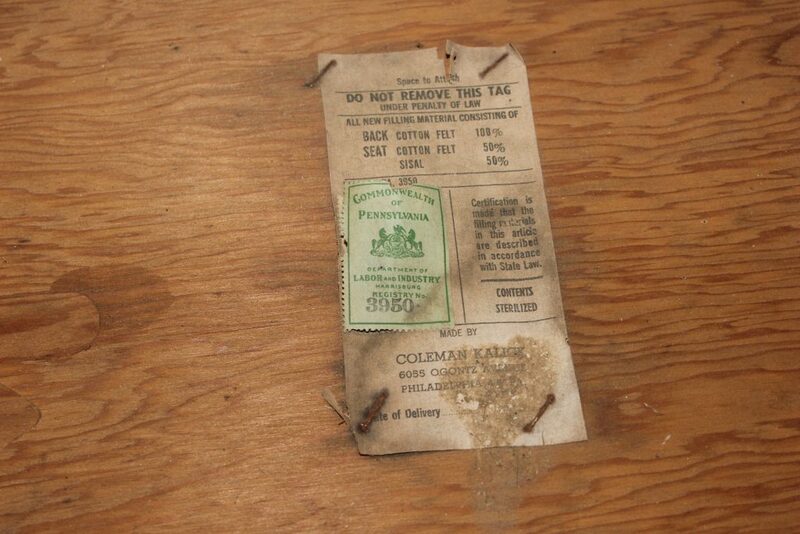 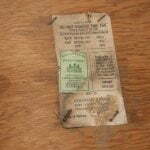 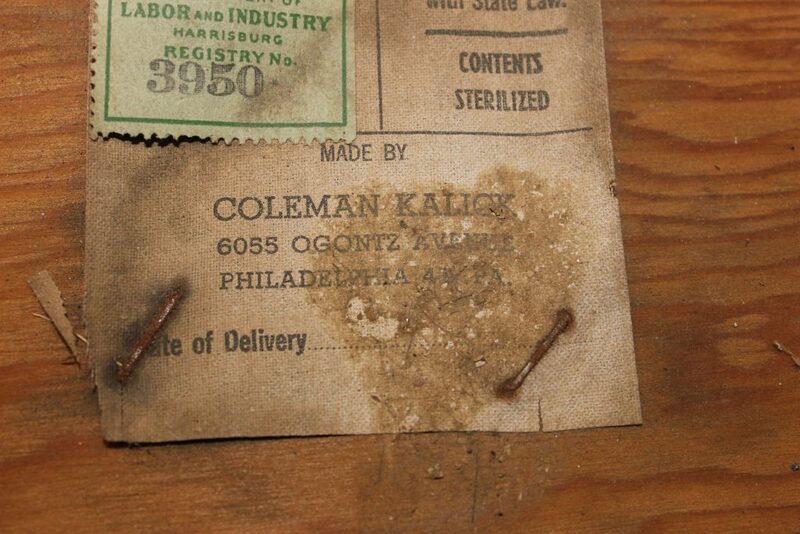 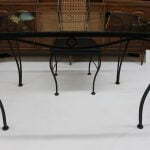 The iron on the chairs and table base show signs of minor rust. 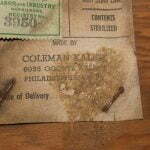 This can be removed with a simple steel wool cleaning. 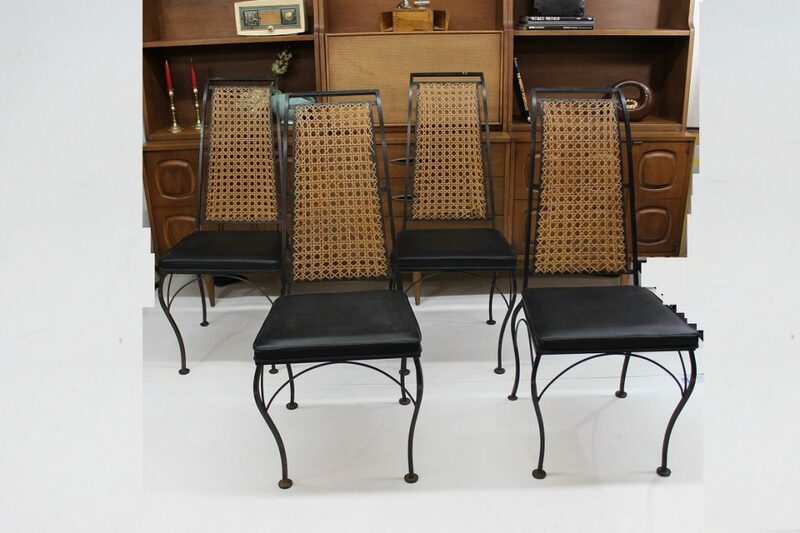 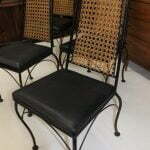 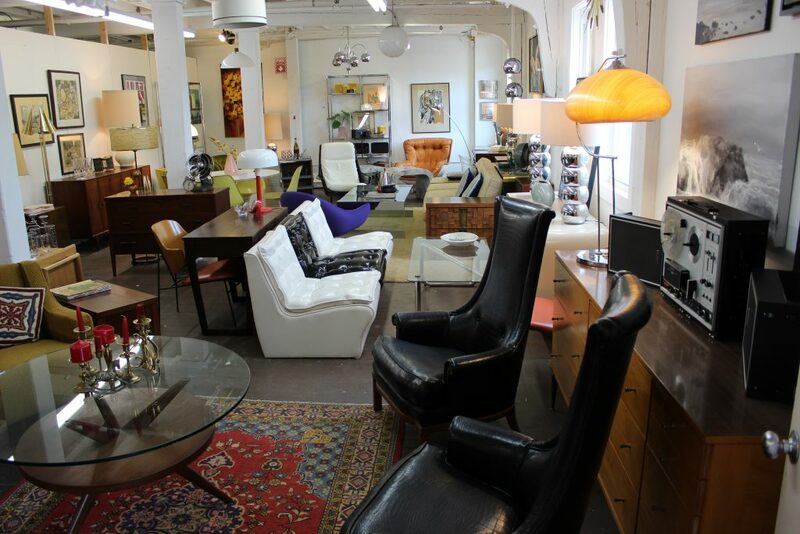 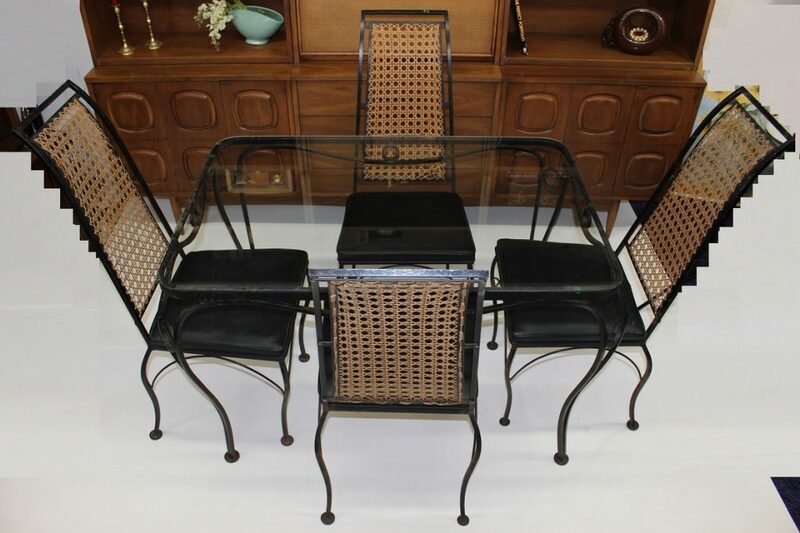 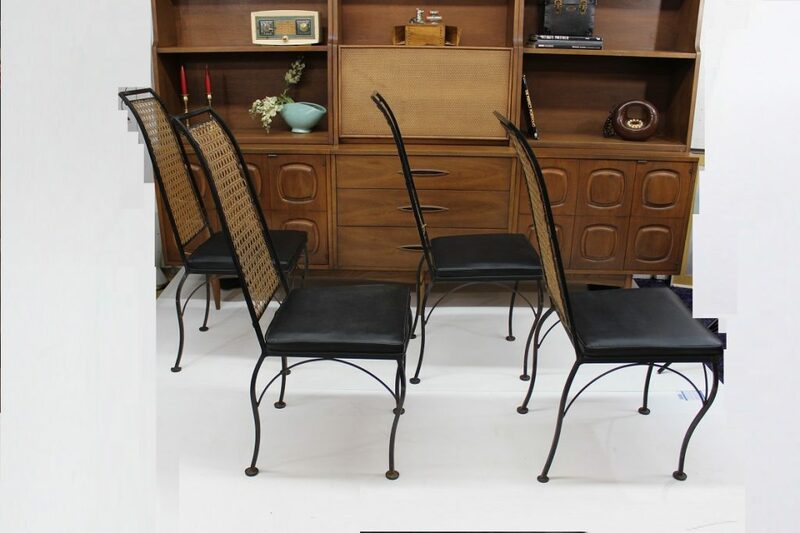 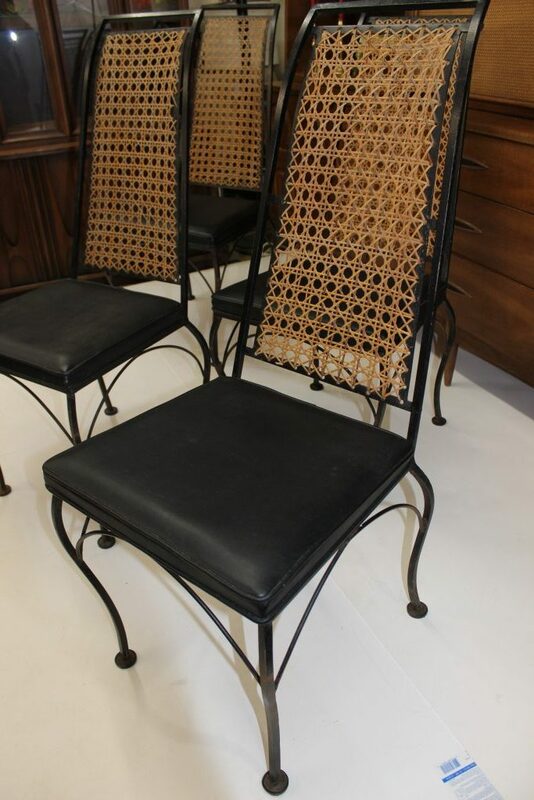 The seats of the chairs are upholstered in black vinyl and they are in great vintage condition. 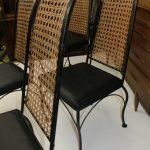 Only one of the backrests has some damage (see picture) however, it is in my plans to get it redone and as soon as I do I will update this listing. 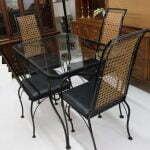 You can of course, buy the set as is and have it done your self. 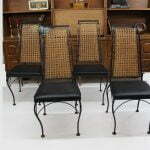 Even with the minor flaws mentioned above, this set is a great addition to any space and it comes in time for you to seat your guests during the holiday season. 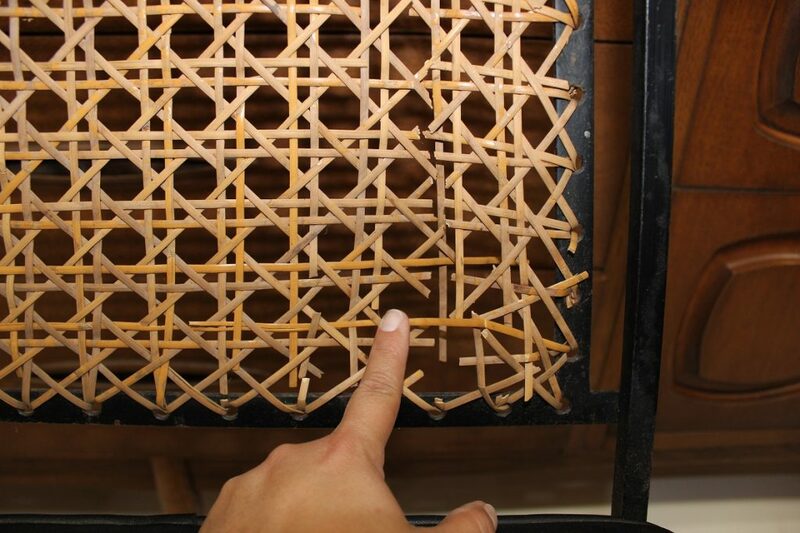 Measurements of the table: 30″ wide, 44″ long, 30″ high. 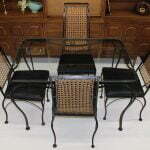 The chairs are 42″ to the backrest, 18″ to the seat, 25″ front to back and 17″ wide.